Sri Lanka's Minister of Petroleum, Arjuna Ranatunga's bodyguard was acquitted by Colombo Magistrate Court on Friday over the shooting dead of a protester in October last year. The bodyguards shot at protesting crowds, who were blocking Ranatunga from entering his office, after Colombo was plunged into crisis as Mahinda Rajapaksa was unexpectedly appointed as prime minister. AFP quoted witnesses as saying Ranutunga rushed from the scene with police commandos in helmets and body armour. He was subsequently photographed disguised wearing STF uniform and surrounded by heavily armed personnel. One man was killed and two others injured in the incident. 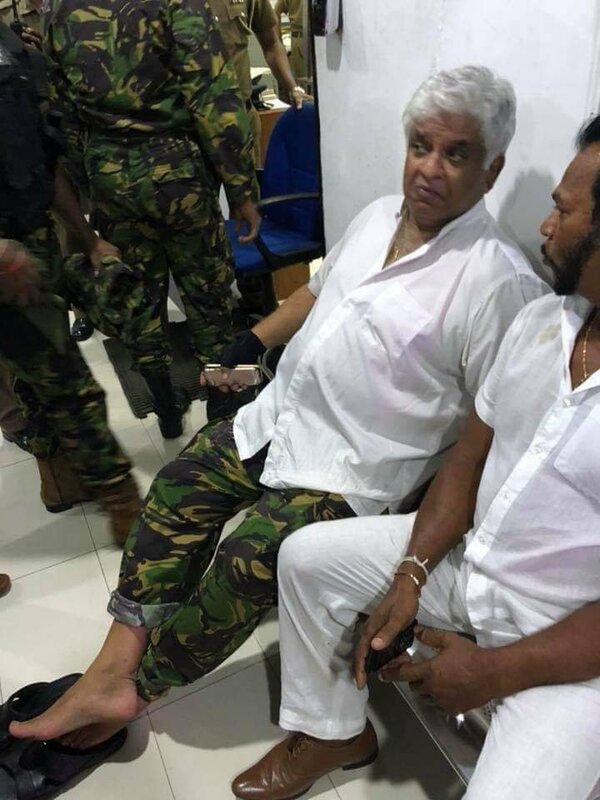 Ranatunga and a Colombo Municipal Councillor with the Sri Lanka Podujana Peramuna (SLPP) were also arrested in relation to the incident but later released.